Dr. Bhishm Nariyan Singh, former Governor, Chief Minister and Central Minister addressing the gathering on the occasion of announcement of Mr. K.L. 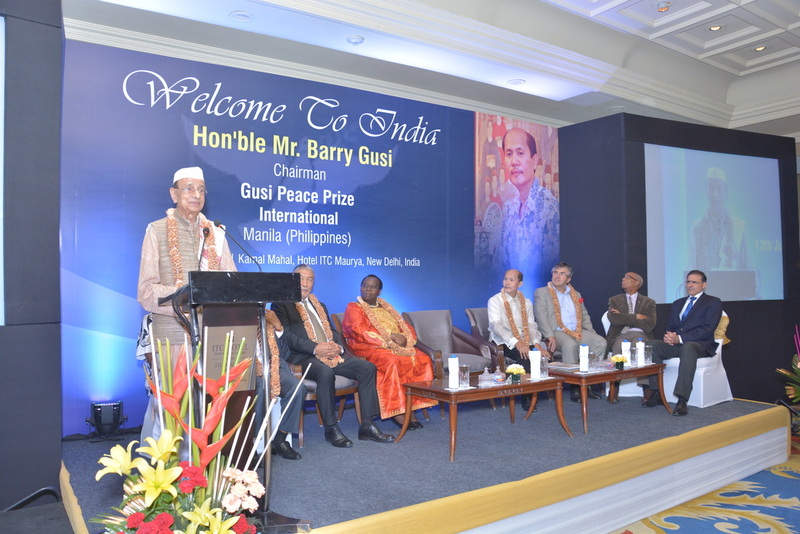 Ganju as International Laureate to receive Gusi Peace Prize, 2016. Previous PostMr. K.L. Ganju, o.c.v.c, Consul General, Union of Comoros & H.E. Mr. Gudmundur Eiriksson Ambassador of Iceland.Next PostMr. K.L. Ganju, o.c.v.c. (cdr. ), Consul General (Hy.) being decorated and raised to the Grade of Commander – “Order of the Green Crescent of Comoros” by the Hon’ble President of the Republic of Union of the Comoros.